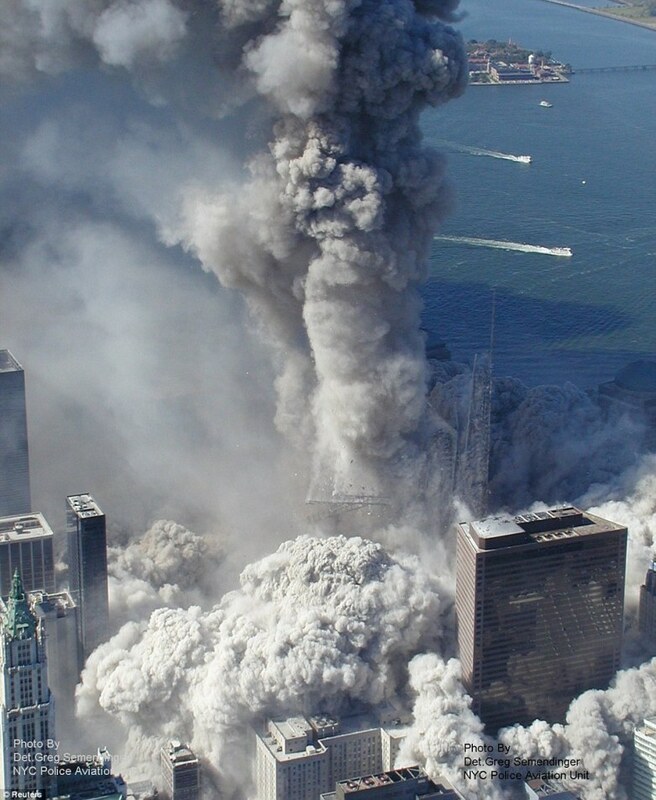 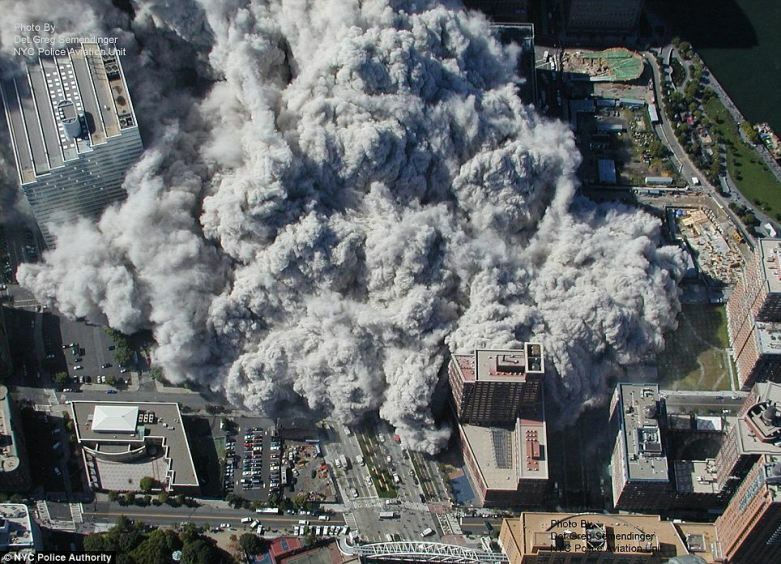 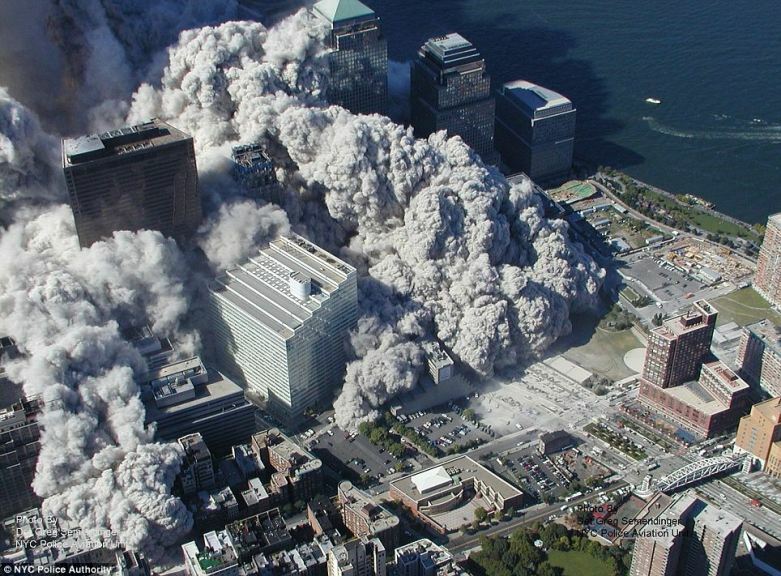 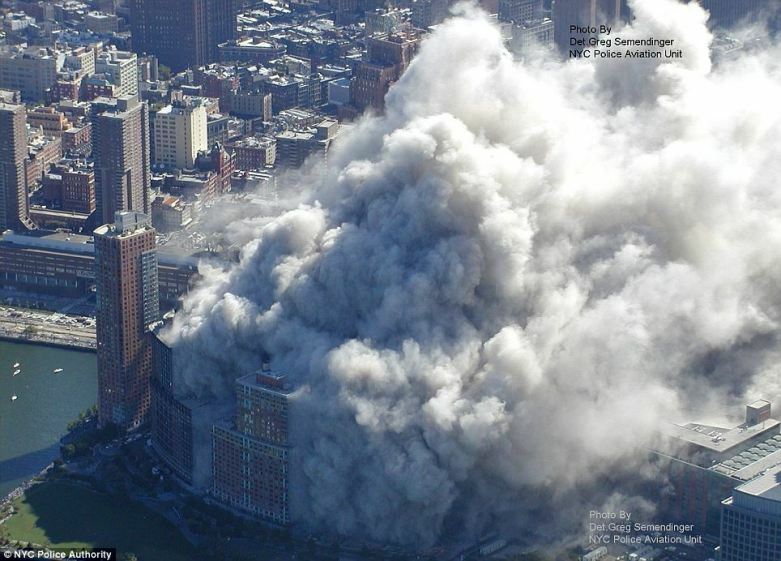 Aerial photos of the World Trade Center terror attack released in 2010 capture the towers' dramatic collapse, from just after the first fiery plane strike to the apocalyptic dust clouds that spread over lower Manhattan and its harbor. 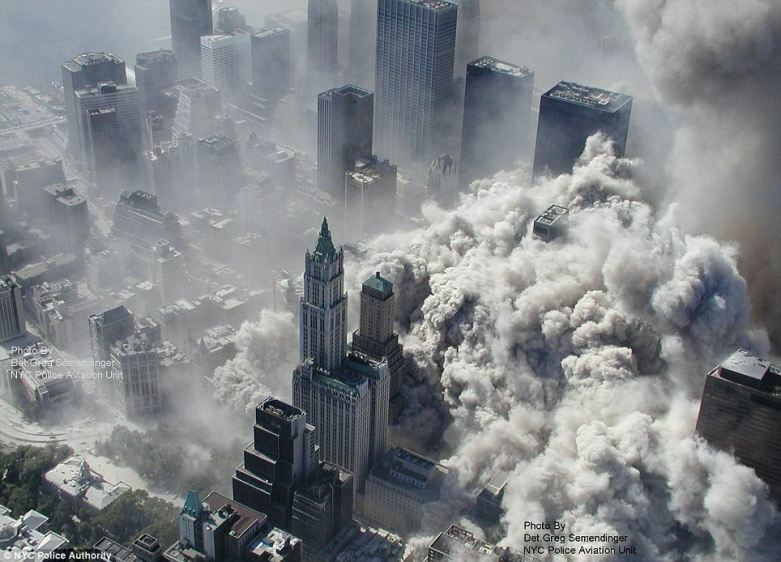 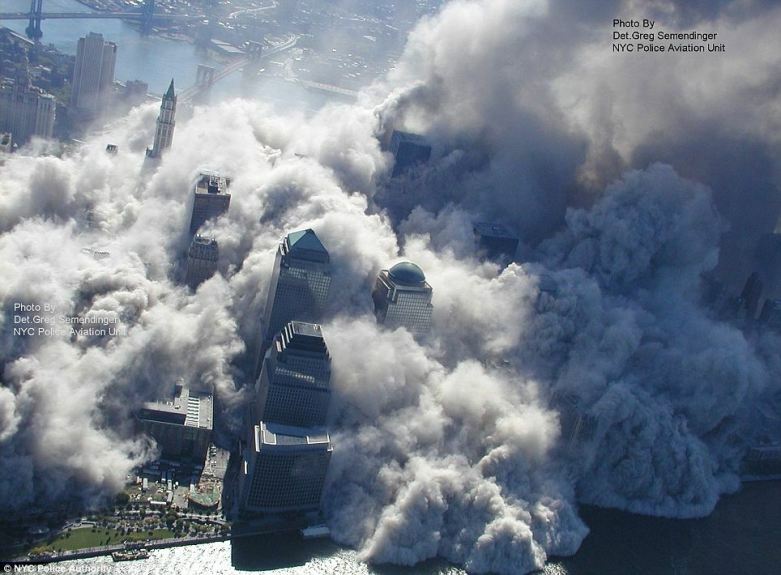 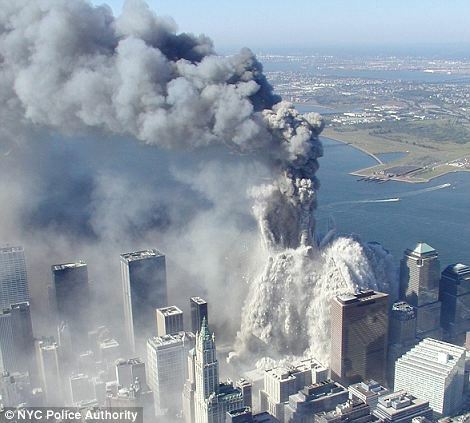 The images were taken from a police helicopter - the only photographers allowed in the air space near the towers on Sept. 11, 2001. 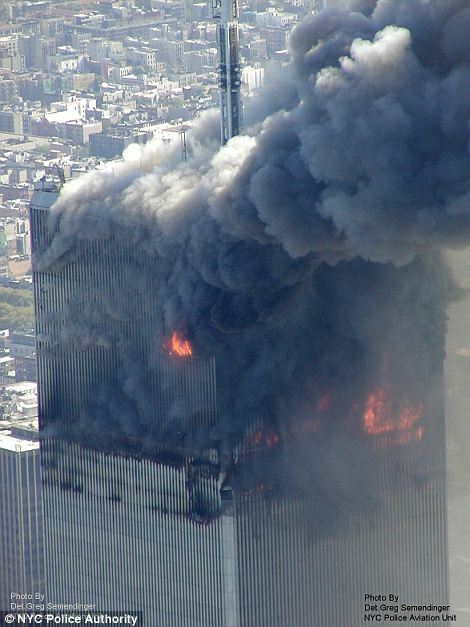 They were obtained by ABC News after it filed a Freedom of Information Act request last year with the National Institute of Standards and Technology, which investigated the collapse.